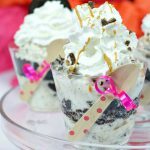 A Peek at the Fun: Looking for a great Cookies and Cream Dessert? 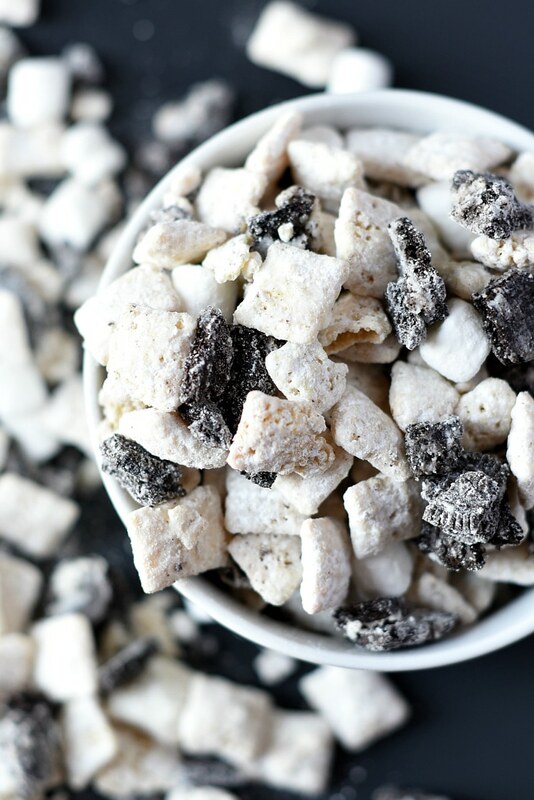 These muddy buddies are amazing with Chex cereal, crushed Oreos, white chocolate, powdered sugar, and marshmallows. These taste amazing and are easy to make! This summer has been one big pig fest! 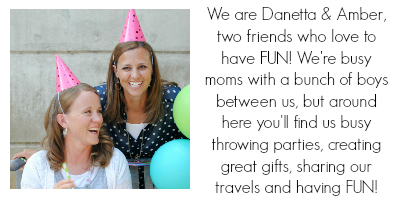 Danetta’s been busy building a house and having company, meaning her family is eating out a lot. Amber’s been traveling a bunch, which means her family has been eating way too many treats because when you’re on vacation, why not? 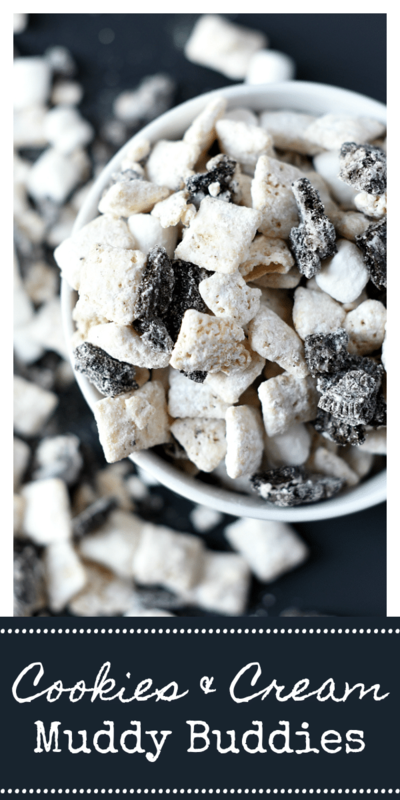 So when we got together to make these Cookies and Cream Muddy Buddies, we were determined not to eat any! Danetta was strong. Amber was weak. One little bite people, that’s all it takes and it’s over. They are GOOD! 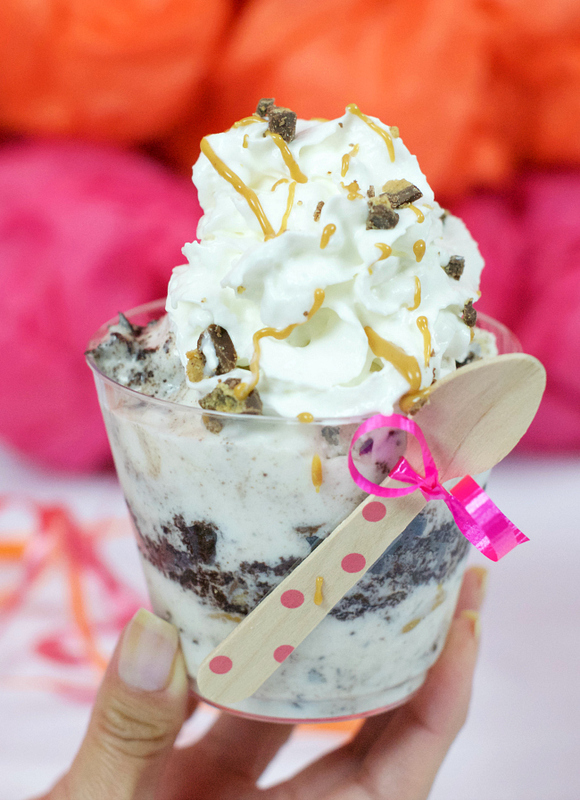 And cookies and cream dessert is a good one and these are amazing! Like betcha can’t eat just one good. 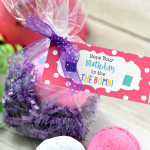 We’ve got to stop making muddy buddies. But YOU shouldn’t. You should try these because they are so good. 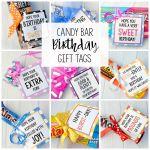 They are perfect to take to a party or family dinner because they are super quick and easy to make and everyone will love them! 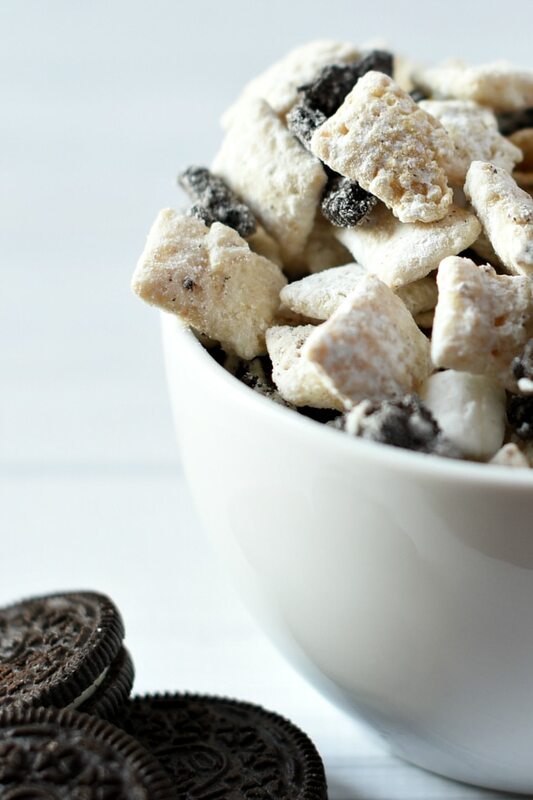 When Muddy Buddies and Oreos get together, good things happen. But we don’t have to tell you that do we? You already know. 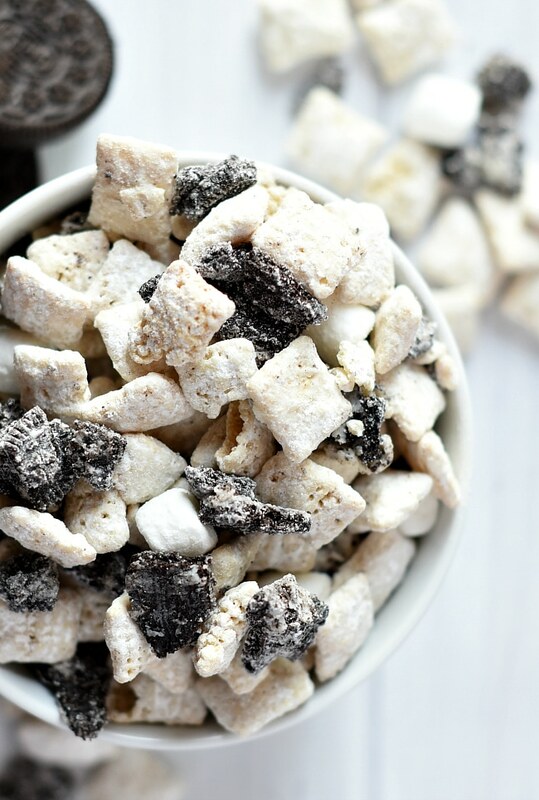 These Cookies and Cream Muddy Buddies are perfect. 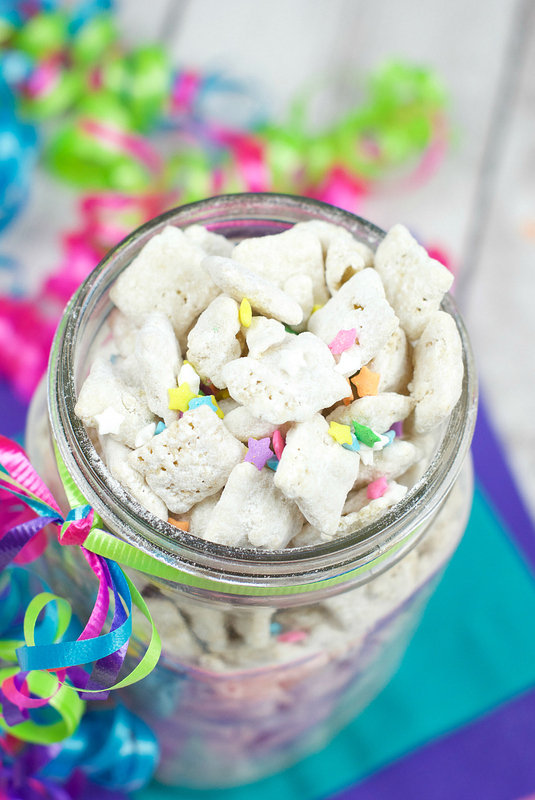 Pour your muddy buddies into a large bowl. Melt your white chocolate chips. To do this, put them in a bowl in the microwave and cook for about 1-2 minutes, stopping to stir about every 30 seconds. (You want to be very careful that they don’t burn.) As soon as they are melted, pour them over your Rice Chex and stir until the Chex are evenly coated. Pour your powdered sugar on and stir to evenly coat again. Crush your Oreos (we put ours in a Ziplock bag and hit them with a rolling pin) and throw them in. Add your marshmallows, mix it all around and you’re all set! It’s best to store these in an air tight container to keep them fresh. Now start gobbling them up because you know you want to! They are just so yummy! 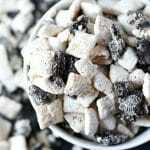 Have FUN eating these Cookies and Cream Muddy Buddies! Marshmallows are not in your list of ingredients, but they are in the instruction part to add them…….how many do you add?